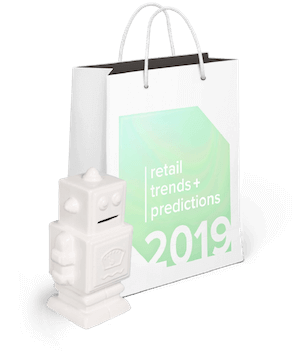 2019 is here, and if you’re in retail, you’re likely wondering what the next 12 months will bring. What must merchants do to win? Will the retail industry prosper and thrive? 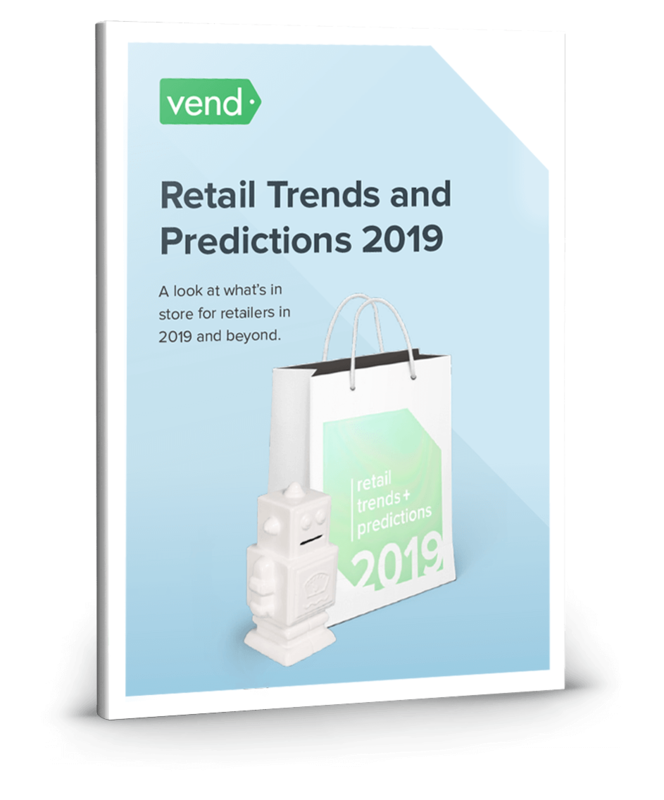 To help answer these questions, we’ve put together a handful of trends and predictions that we think retailers should pay close attention to in the coming months. 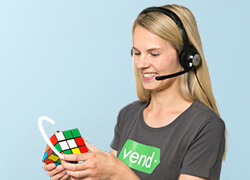 “Retailers that win won’t rely on the latest technological advancements, distribution models, or assortment strategies. They will win by delivering a meaningful human interaction that gives consumers confidence in what to buy,” says Nick Stagge, VP Marketing at ExpertVoice. In other words, any retailer that wants to stay competitive needs to step up their game when it comes to staff hiring and development. It’s no longer enough to train employees on your products and store policies — these things are just the bare minimum. You also need to train them to relate better to shoppers. Your associates should have the ability to connect with customers in a memorable way. Retailers will increasingly rely on artificial intelligence. Big Data, machine learning, and AI-powered “assistants,” which were once reserved for larger enterprises, can now be leveraged by businesses of all sizes — and that’s great news. There are a number of platforms specifically designed to help small and medium retailers leverage data more effectively. Consider Dott, an AI-powered retail assistant that gives you personalized advice based on your POS data. Dott learns about your business by understanding how you use the Vend Platform and by analyzing sales, product, customer and inventory information in real-time. It then makes personalized suggestions on what you should do next to grow your business. AI technologies such as Dott can save you time and remove the guesswork out of decision-making. That’s why if you haven’t done so yet, spend some time in 2019 looking into AI and figuring out if and how it can help your business. Some do it because they crave the social component of shopping. Others do it because they love the excitement of treasure hunts and product discovery. Then are those who want to touch and feel items for themselves. Retailers need to be attuned to the reasons why their customers shop offline, and then design their stores to fit those needs. Small format stores that carry little to no inventory will continue to emerge. Take Nordstrom, which recently expanded Nordstrom Local, the company’s smaller format stores for online order pick up, onsite alterations, returns, and personal styling services. Nordstrom isn’t the only retailer reducing the size of their stores. Barbara Thau points out on Forbes that a wide range of retailers including Target, Kohl’s, Sephora, and Whole Foods are also getting in on the small format trend. Why the move towards smaller shops? One big factor is consumer behavior. The internet doesn’t just enable shoppers to browse and buy using their phones or computers, advancements in the supply chain also make it possible for retailers to fulfill orders quickly and efficiently. Because of this, it no longer makes sense to establish larger-than-life stores that stock countless merchandise and SKUs. These days, retail stores can be more productive with smaller formats that carry curated products and/or offer services. According to PSFK, “82% of consumers say that they are more likely or much more likely to purchase from a brand that offers multiple delivery options.” This should come as no surprise, as we already know that shoppers have higher demands than ever, particularly when it comes to order fulfillment. Things like free 2-day shipping, same day delivery, and in-store pickup are becoming table stakes, and retailers need to keep up. Very few retailers have the warehousing and supply chain capabilities of Amazon or Walmart, but with the right strategies, technologies, and partnerships, you too could offer services such as same-delivery to your customers. Consider Grain & Vine, a boutique wine and spirits store in New York. 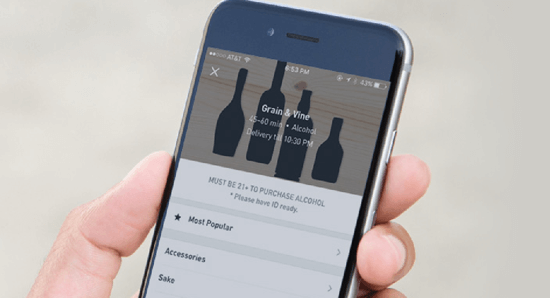 Aside from selling through its physical store and website, Grain & Vine also offers same-day delivery through apps such as Postmates, Minibar, and Drizly. The two systems can “talk” to each other and share data in real-time so when orders come in, Grain & Vine’s inventory is synced across its physical and digital stores. As for the different delivery apps, Grain & Vine use an XML file to sync their inventory with the apps. “We’ve created an XML file that constantly pings our Shopify platform for inventory updates,” explains owner Michael Nagdimunov. If you’re going to connect different platforms, take a leaf out of Grain & Vine’s playbook, and choose platforms with tight integrations. To make things easier, go for solutions with existing integrations, so you won’t have to develop one yourself. We are moving towards a more voice-centric world, and retailers need to prepare. Keep an eye on these technologies and determine if it makes sense to include voice search in your strategy. Retailers such as Target clearly see the opportunity in voice technology. In 2017, the company teamed with Google to enable shoppers to buy from Target using their Google Assistant. The companies took things a step further in 2018, when Google issued the first voice-activated coupon for Target orders. Voice search and virtual assistants aren’t just for the big guys though. A targeted and well thought out voice search strategy can be beneficial for small and medium retailers as well. For example, brick and mortar stores could optimize their listings for voice search to ensure that they show up whenever someone nearby searches for their store or products. Meanwhile, online merchants can create content that answers common questions asked through voice assistants. No matter how you decide to use voice search and voice assistants, one thing is clear: these technologies are here to stay. 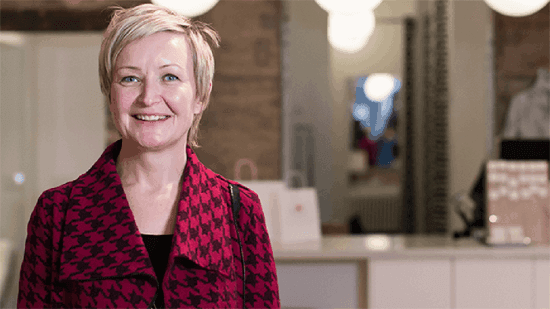 “No longer are the front-facing, more obvious details of retail the ones that matter most. Instead, it’s the behind the scene players that are truly driving efficiency and results in commerce,” says Nicole Reyhle Founder at Retail Minded. So, how can retailers improve their back office operations? You can start by evaluating your processes and technologies to identify areas for improvement. Specifically, are there any inefficient tasks or steps that are preventing you from providing the best customer experience possible? For instance, if you’re unable to offer a seamless shopping experience between your ecommerce site and brick and mortar store, then perhaps it’s time to integrate your online and offline systems. “Retailers remain keen to try and test new formats, technologies, concepts, and ways of doing business. 2018 has been a year of great innovation, and that pace will increase as we move into 2019,” he adds. Consider the case of Bergstrom Originals, a Canadian lifestyle brand and women's clothing line. Bergstrom Originals initially operated their online and offline stores separately — they ran a Shopify site and then used spreadsheets and paper receipt book logs to track their inventory. But as the business grew, Christina Bergstrom, the owner of the company knew that they would need to upgrade their system. 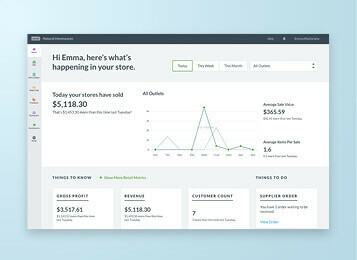 That’s when they decided to use Vend POS and integrate it with their Shopify store. This move allowed Bergstrom Originals to toss their ineffective and time-consuming spreadsheet system and instead move to the cloud, where they’ve been able to centralize and streamline their operations. The result? Bergstrom Originals can now smoothly track and manage stock across multiple channels, saving valuable time and reducing human error. 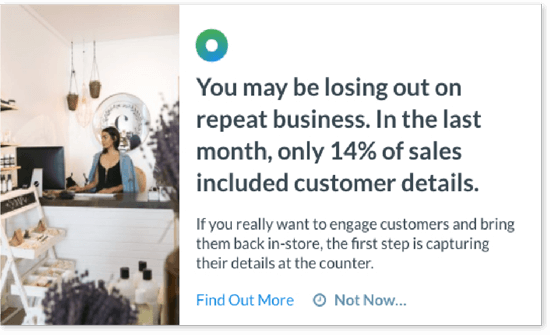 The process of ringing up sales continues to be a critical component of brick and mortar retail, and like most things in the industry, the checkout process is evolving. Emerging payment options such as mobile payments and “buy now, pay later” services will likely gain more traction this coming year. It may behoove you to explore these options, particularly if you cater to younger shoppers — i.e., millennials and Generation Z. If your customers want to pay using their mobile device or if they’re looking for more flexible payment options, then look into the different payment types you can offer. In addition to providing a better service, adopting faster and more flexible payment options can boost your sales and growth. Research has shown that fast-growing companies are more likely to accept mobile payments, compared to slow-growth ones. And when it comes to “buy now, pay later,” it’s been found that businesses that allow customers to pay in installments see a boost in basket values. Geopolitical and economic events will keep retailers on their toes in 2019. In the US, for example, many retailers are worried about how tariffs will impact the sector. According to eMarketer, the additional fees on goods from China could raise production costs for merchants, thus slowing down growth among merchants who can’t absorb the costs. Meanwhile, there’s the issue of Brexit in the UK. Vend’s own research has shown that a quarter of small retail businesses in the UK are feeling fearful of Brexit. 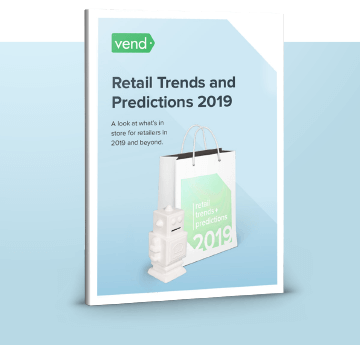 And in Vend’s conversations with UK retailers, we’ve found that many merchants are taking steps to prepare for Brexit. The geopolitical landscape can be incredibly complex and it’s difficult to predict the specific effects that they will have in the retail industry. But it’s important to keep a close eye on these events in order to anticipate and prepare for any changes that could hit your business. This year, we’re predicting more retailers will invest in sustainability. As issues like global warming become bigger threats, consumers will undoubtedly become more mindful of their purchases and will choose to align themselves with businesses that support their values. Similarly, Australia has also taken action against single-use plastic bags. In 2018, Australian retailers started banning them in supermarkets and other large retail stores. As such, merchants will improve on their practices to ensure that they’re packing, selling, and delivering products in ways that aren’t harmful to the environment or to society. From ethically sourcing goods and materials to using sustainable product packaging, we can expect this trend to continue. Modern shopping behaviors — e.g., the practice of trying on products offline and purchasing online — are blurring the lines between online and offline retail. If you’re selling on multiple channels, you can bet that your presence on one channel would influence sales and brand perception in another. For retailers that put a premium on creating a harmonized experience across channels, e-commerce is a sales channel, but it is also a major complement to the stores, and vice versa. It is therefore not surprising to discover that many brands that have shuttered stores have seen their e-commerce get worse in the trade areas once served by a closed location. Because of this, traditional metrics such as sales per square foot or sales per location don’t provide the full picture of the retailer’s performance. As we move towards a more omnichannel world, it’s important that you figure out how to measure your efforts across physical and digital channels. 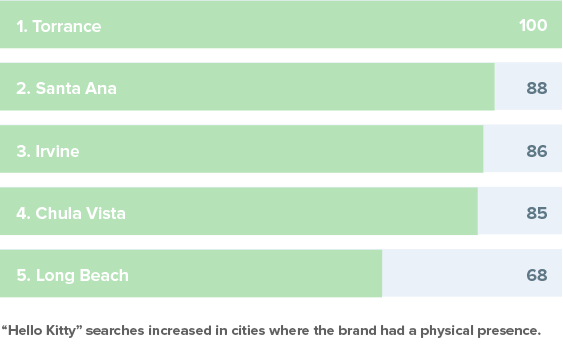 One way to do this is to measure any increase in online sales where you have a physical location. Look at your ecommerce analytics and see how much traffic or revenues are generated from locations where you have a brick and mortar presence. Looking at online search lift could also be insightful. Tools such as Google Analytics and Google Trends can help you measure brand searches in specific locations. If you have a pop-up store or event in a specific city, for instance, then you could keep an eye on your branded searches in that location to see the impact of your brick and mortar initiatives. Here’s a concrete example. 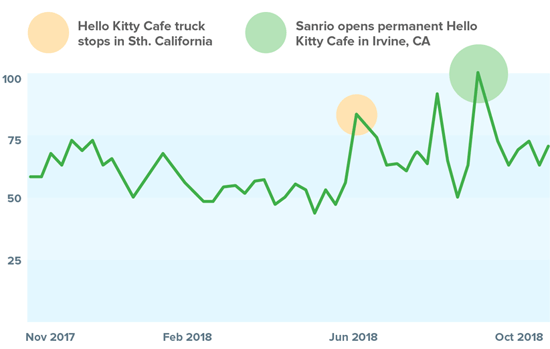 When Sanrio opened the Hello Kitty Grand Cafe in Irvine, CA back in September, brand searches for “Hello Kitty” in Southern California saw a 12-month high on that same month. Moreover, Irvine and neighboring cities became among the top locations in which “Hello Kitty” searches were most popular. The rise in search popularity coincides with the opening of Hello Kitty’s cafes, which goes to show just how impactful physical locations can be on a brand’s online presence. Mobile messaging adoption has seen an upward trajectory in the last several years and it won’t slow down anytime soon. Mobile phone messaging app users are expected to increase from 2.01 billion in 2018 to 2.18 billion in 2019 and up to 2.48 billion in 2021. We can expect consumers to rely more on instant messaging and texting, so if you’re looking for a better way to reach your customers, then mobile could be just the channel that you need. When used correctly, instant messaging apps such as Facebook Messenger can be effective tools in addressing customer questions and sending product updates. 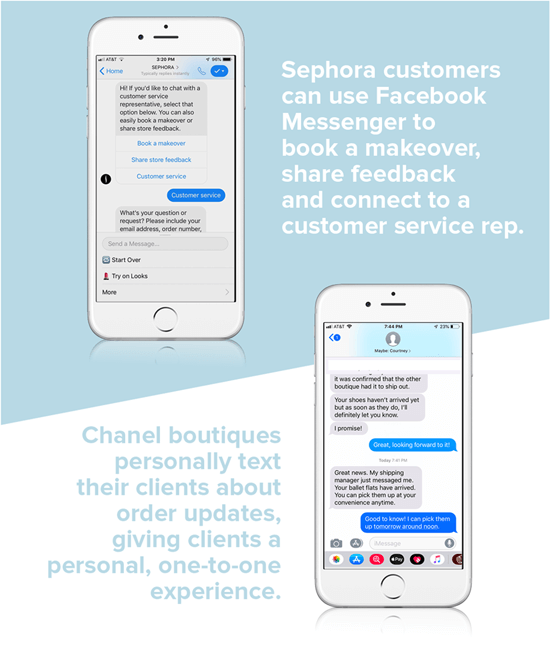 Sephora customers, for instance, can use Facebook Messenger to book a makeover, share feedback, and connect to a customer service rep.
Do note that mobile messaging isn’t just about apps. Retailers can also use SMS to touch base with shoppers. At a number of Chanel boutiques, for example, associates personally text their clients about order updates. These messages typically come from the associate’s direct line, giving clients a personal and one-to-one experience. Those words are more relatable than ever, especially in the retail industry. The landscape is evolving, and your survival depends on how well you adapt. We hope the predictions in this piece point you in the right direction and give you ideas on what you need to change in your business and how to get there.